Around the month of May, everyone’s inboxes were seemingly full with that stream of slightly begging emails from companies we might have bought something from ten years ago. “Let’s not lose touch!” they pleaded, like old pen-friends who had drifted away from us. If you were anything like everyone else, you probably just deleted the message. We were all so heartless back then. All of these emails, of course, were about GDPR. This is the acronym applied to the new data protection laws produced by the European Union, which came into force at the end of May this year. The founding principle of GDPR is privacy: that each of us has a right to decide how our data should be used by those companies and organisations which hold it. That’s why we all received those emails: without our permission, those companies couldn’t keep our details – and couldn’t contact us again about their products. GDPR is a clear set of regulations which has replaced quite a confused status quo, and in that sense should be welcomed. It represents a great opportunity for companies to get their data house in order, and think more clearly about the information they collection … and what they do with it. Of course, it also makes some new demands on data holders, and that’s where we’ve been working hard with our clients to help them become not just compliant with the letter of the GDPR law, but with its spirit – we think there are opportunities here, and have been encouraging our clients to grab them. 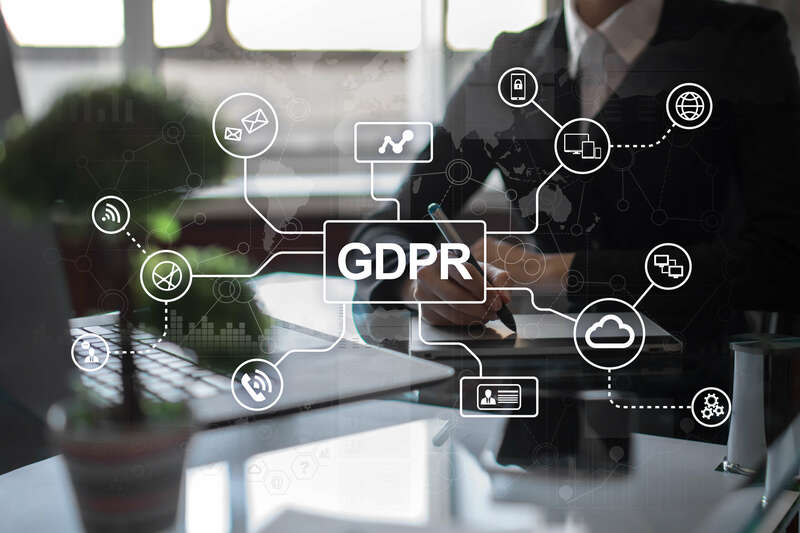 First and foremost, the new regulations simply require companies to be a bit more transparent and upfront about their data collection policies and procedures. This means new pages – and sometimes new functions – on your website. We’ve been taking our customers through the implications, and got every site updated in time for the deadline. The most obvious change to make to all of our sites – and one you may have noticed on any you have visited since May – is the installation of a new Cookies pop-up. Online, a cookie, of course, is a little packet of data which a website sends to each of its users’ computers. This can help the site improve the user experience – helping keep them logged in, for instance, or to fill out repeat forms. It’s also true that the data you hold can only be held for a given period without explicit permission otherwise. You need to think ahead, then – how will you collect that permission in the future? All this is easy to sort, but very important to have. Your agency should be helping you get ready. If you’re not sure about GDPR, drop us a line for some help. You don’t even have to beg!